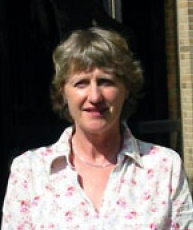 ANGELA BOURKE is a Dublin native educated at University College, Dublin and Univ. de Bretagne Occidentale, Brest (France). She has taught at Harvard, University of Minnesota, and University College, Dublin. Her Salt Water won the Frank O’Connor Award for Short Fiction in 1992, and The Burning of Bridget Cleary won The Irish Times Non-Fiction Award in 1999 and the American Conference of Irish Studies (ACIS) James S. Donnelly Prize in 2001.